While removing my review samples from their impressive packaging, I was reminded of my first introduction to Paradigm loudspeakers. The year was 1999, and a fellow student, rather than shrink his ever-growing college loan, had decided to spend what was left of his limited summer-job savings on a pair of speakers: the then-new Paradigm Monitor 7s. While helping him shop, I found myself contemplating my own next loan payment. However, still having a year of college to go without so much as gas money in my pocket, I was forced to admire the Monitor 7s and their many descendants, if not from afar, then only in audio showrooms. Over the years, Paradigm’s Monitor line has continued to evolve, consistently offering remarkable combinations of style, value, and performance. Now, 11 years later, I find myself reviewing a home-theater system ($3694 USD) comprising members of Paradigm’s newest line: the all-new Special Edition. 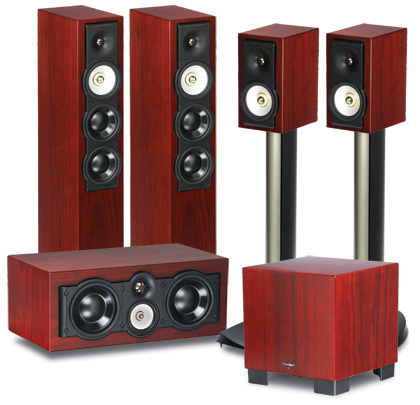 The SE 3 towers ($1598/pair), SE 1 monitors ($698/pair, used here as surrounds), SE Center ($599), and SE Sub ($799) present themselves with class, handsomely finished in High Gloss Black or a real-wood Rosenut veneer. 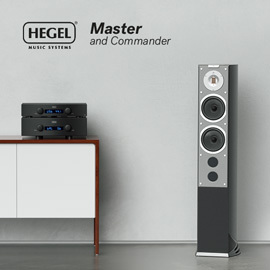 The Special Edition models present somewhat of a paradox: They don’t really fit either the regular Paradigm or the higher-end Paradigm Reference families. In terms of price and styling, the SEs are at the top of the Paradigm line, but in terms of technology and performance they seem more at home among the Paradigm References. So where, precisely, does the SE branch of the Paradigm family tree join the main trunk? The cabinets of all Special Edition models, including the SE Sub, borrow heavily from the Paradigm Monitor series. 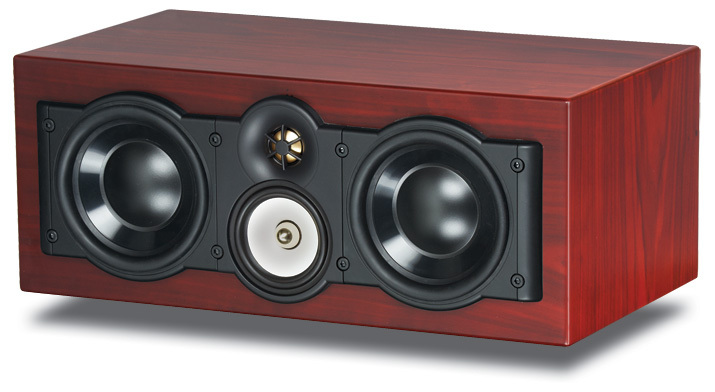 The main differences are that the SEs are clad in real wood or a glossy black, instead of the Monitors’ vinyl laminate. Moreover, all of the edges on the SE models have been rounded, giving them a more luxuriously high-end look. Common to all Special Edition models (with the obvious exception of the SE Sub) is a 1" ferrofluid-cooled dome tweeter of gold-anodized, pure aluminum (G-PAL). The G-PAL technology is claimed to offer higher rigidity and damping than a conventional aluminum dome. Also, in an effort to improve the tweeter’s overall dispersion, the curvature over the entire radius of the dome has been reduced. Where things get really interesting is in Paradigm’s almost hybrid approach to developing the SEs’ lower-frequency drivers. Technology trickled down from the Reference Studio line was used to develop the bass and midbass drivers and the crossovers. Beginning with driver frames made of die-cast aluminum and/or glass-reinforced injection-molded polymer (GRIP) similar to those used in the Monitor models, Paradigm claims to have upped the performance ante by using more sophisticated diaphragms and motor assemblies made of satin-anodized pure aluminum (S-PAL). The crossover networks are all second-order, with "Reference-quality" parts used throughout. Although the SE designs may be more complicated, Paradigm has kept the line simple: there are only four new models. Measuring a squat 11"H x 6.5"W x 8.5"D, the SE 1, a two-way bookshelf, has a single 5.5" S-PAL bass/midrange driver with useful response down to 70Hz, and crosses over to the tweeter at 2kHz. The SE 1 has a rear port, and provisions for an optional wall-mount bracket directly above a single pair of plastic-capped terminals, which accept bare wire, spades, or banana plugs. Although a slightly more difficult speaker to drive than the rest with an efficiency rating of 85dB, the SE 1 can be used as either a main or surround speaker. The second smallest SE speaker is the SE Center, at 17.5"W x 7"H x 9.5"D. Having four drivers and two rear ports, the SE Center is a three-way design; its two 5.5" polypropylene bass cones are crossed over to a 3.5" S-PAL midrange driver at 300Hz, which in turn hands off to the 1" G-PAL tweeter at 2.1kHz. The SE Center’s sensitivity is a claimed 88dB, and it sports the same wiring terminals as the SE 1. The largest, most efficient Special Edition is the SE 3, rated at 90dB and measuring a modest 34"H x 6.5"W x 10"D. The SE 3 has the same number of drivers as the SE Center, but is a 2.5-way design with two 5.5" S-PAL bass drivers to handle frequencies from 65 to 600Hz. A single 5.5" S-PAL mid/bass driver plays up to 2kHz, at which point the 1" G-PAL tweeter takes over, extending to 20kHz. The SE 3 breathes through a large rear port, and has two pairs of wiring terminals, for biwiring and/or biamping. The handsome little SE Sub is a sealed 11" cube that can be oriented to fire down at the floor or straight ahead into the room. Its single 10" cone of Carbon-Aramid-fiber Polypropylene (CAP) is driven by a 300W RMS (900W peak) digital amplifier powering two oversize ceramic-ferrite magnets and a 2", four-layer voice-coil. Its output is claimed to extend down to 24Hz. Connecting the SE Sub was as simple as it gets -- it has just one pair of stereo line-level inputs. To the right of the input jacks are three dials for adjusting the crossover frequency (with bypass option), phase (0-180 degrees), and volume. Not least important was a mini-USB input, which is used to connect Paradigm’s Perfect Bass Kit, or PBK-1 ($299). Derived from the Anthem Room Correction (ARC) software, the PBK-1 simply plugs into the mini-USB connection and then runs like many other room-correction softwares, correcting for frequency-response anomalies caused by room modes that generate a lumpy frequency response. Using the supplied microphone, the PBK-1 measures frequency sweeps at five or more positions in your room, then displays the information on your computer as a graph, showing you where the problem areas are. It then corrects for them, automatically or manually. The software can be used with up to four different subwoofers. Included are a software disc, two long USB cables, the microphone, and a heavy-duty mike stand. The PBK-1 proved invaluable in optimizing the SE Sub. I set up the SE system in my 25’ x 13’ living room, with the SE 3s and my listening position at the apices of an 8’ equilateral triangle, and the backs of the speakers about 1’ from the front wall. The SE Center was atop my TV cabinet midway between the two SE 3s, and I set the SE 1s on 36"-tall stands slightly behind my couch, 10’ apart and 6" from the rear wall. After a few hours of listening and fiddling around with position options, I toed-in the SE 3s about 10 degrees and the SE 1s by about 15 degrees. Oppo’s BDP-83 universal Blu-ray player provided the visual entertainment, connected via HDMI to only my Integra DHC-80.1 preamplifier-processor. This fed signals to an Integra DTA-70.1 power amplifier via Analysis Plus Copper Oval In Micro interconnects, and power traveled to the Paradigms via River Cable Flexygy 8 speaker cables. All components were plugged into a Rotel RCL-1040 power conditioner except for the SE Sub, which was fed by its own dedicated wall outlet. The distinctive sound of the Paradigm SEs was evident from the moment I sat down and started listening to them. I began with tracks by various artists, such as Diana Krall, Led Zeppelin, and the Eagles. Whatever the material, I found the SE 3 a very neutral, if not an aggressively neutral speaker. Voices were presented with the utmost clarity, accompanied by crisp highs and an accurate and impressively punchy lower end. At normal listening levels the sound was quite pleasing, reminding me several times of models higher up in the Paradigm hierarchy. When I turned the volume up to levels where the neighbors may have been able to hear me, however, the highs became somewhat aggressive, the midrange went from pleasantly detailed to almost metallic, and the bass drivers simply couldn’t keep up with their overachieving counterparts. Knowing that part of what I was hearing was my room’s contribution to the sound, but not knowing precisely how the speakers and room were interacting, I moved the SE 3s downstairs into my fully carpeted, moderately damped home theater. Here the SE 3s sounded much more at home, leaving behind that aggressive top end and metallic midrange and replacing them with an ultradetailed yet neutrally balanced sound. I moved the SE 3s back upstairs, curious to hear the same characteristics while watching movies. When evaluating multichannel systems for their home-theater performance, I like to begin with films that are a little subdued, and perhaps even include some quiet passages, so I can listen to microdetails and focus on how well voices are portrayed and atmosphere is created. I began with chapter 3 of the DVD of The Duchess, which begins in a courtyard garden: a fountain spews water, gardeners clip grass with shears, and a servant rakes the lawn. The low-level detail was effortlessly articulated by the SE Center -- I could hear not only the spatter of water hitting the ground, but could tell by the smacking sounds that the surface it was striking was one of marble or concrete, even though I couldn’t see it. This kind of textured detail was also present when I listened to the rake being dragged through the grass: I could hear the metallic tinniness of the rake’s teeth, indicating that the grass was quite short, though I couldn’t actually see the grass. It is these sorts of details that help paint a picture in the mind and add to a film’s atmosphere. The entire SE system painted those pictures brilliantly. While watching a scene in chapter 5 of the DVD of The Lost World: Jurassic Park, in which Dr. Sarah Harding (Julianne Moore) feels for the first time what it is to touch a baby dinosaur, her camera suddenly reaches the end of its roll of film and begins to noisily rewind. The scene quickly changes from very quiet to thunderously loud as the parent dinosaurs roam the jungle, searching for their infant. The sounds of trees cracking and crashing to the ground, of water splashing as Harding’s colleagues run upriver in search of her, and the deep thudding of the dinosaurs’ feet hitting the ground, were all presented with clarity and solidity, showcasing just how easily this system can portray subtle details during huge dynamic swings. The Paradigms were able to create a holistic soundstage filled with detail and nuance. I then moved up to films on Blu-ray, specifically Master and Commander: The Far Side of the World. Worried that the higher resolution of this edition’s DTS-HD soundtrack might elicit from the SEs some of the aggressive tendencies I’d heard before, I began with the volume a touch lower. The precaution turned out to be unnecessary; the Paradigm SEs handled the opening scene of chapter 2 with aplomb. The creaks, pops, and groans of the hull emanated from all around the room, giving me an eerie impression of the ship’s fragility. The SE 1s did a very convincing job of reproducing behind me the sounds of waves striking the hull and feet descending stairs. The SE Sub, too, shone brightly here, adding a perfect amount of impact to those steps, and to the sounds of seamen bustling about on the deck above. When the battle begins and the enemy frigate is firing its cannon faster than one shot per second, I clearly heard and felt each report and each cannonball’s impact. The fragments of wood flying through the air and hitting the deck were all clearly present, even as the SE Center delineated the different voices, their exact positions onscreen, and the emotional intensity they expressed. 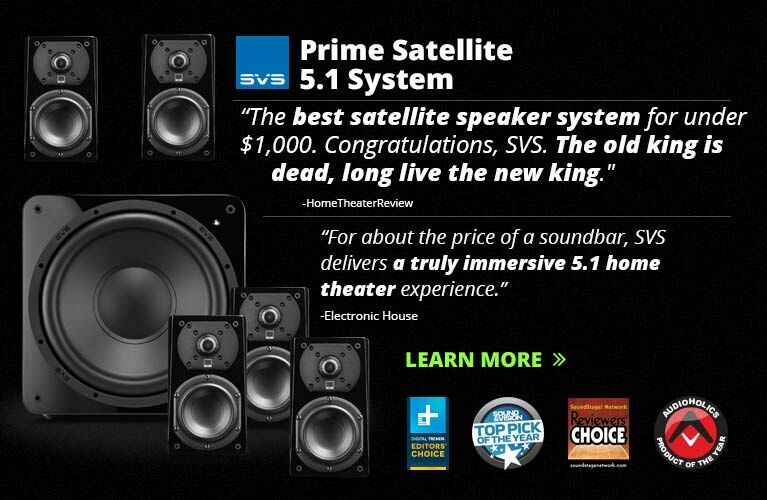 This was the best presentation of surround sound I have heard from any speaker system in this price range. While watching chapter 18 of the BD edition of Mr. & Mrs. Smith, in which the Smiths (Brad Pitt and Angelina Jolie) shoot up and eventually blow up their own house, I couldn’t help but notice, yet again, how well the Special Editions worked together as one. The SE 3s provided a larger-than-life soundstage of background music, gunshots, shell casings hitting the ground, and explosions. The SE Center again proved the jewel of the system by tightly conveying the visceral impact of each punch, kick, slap, and gunshot precisely where it should have been in relation to the image onscreen, all while reproducing voices with a distinct naturalness. The SE Sub did a convincing job of adding impact to gunshots and explosions in chapter 20, but on rare occasion revealed its limitations by failing to fully delineate lower frequencies at higher volumes. That’s not to say that this subwoofer didn’t perform well in extremely demanding conditions -- it never drew attention to itself. In fact, the robustly built SE Sub sounded much bigger than it is. The last subwoofer I remember having this experience with was a JL Audio Fathom f110, which costs almost three times as much. About the only improvement I could have wished for in my larger room was a second SE Sub to complement the first. Not long ago, I reviewed Monitor Audio’s marvelous new Silver RX6 / RX Centre / RXFX / RXW-12 system ($3975). I’ll always remember how smooth and inviting its sound was, especially with music. With movies, however, the Silver RX system sometimes struggled to convey the intensity of the moment, at times lessening the experience. It’s unlikely that will ever be the case with Paradigm’s new Special Edition series. These speakers showcased a more exciting character, were easier to drive, and were voiced on the more exciting side of neutral. While reviewing the Monitor Audio system, I watched chapter 31 of Heat, and noted that the Monitors had a much warmer character than the Paradigms. 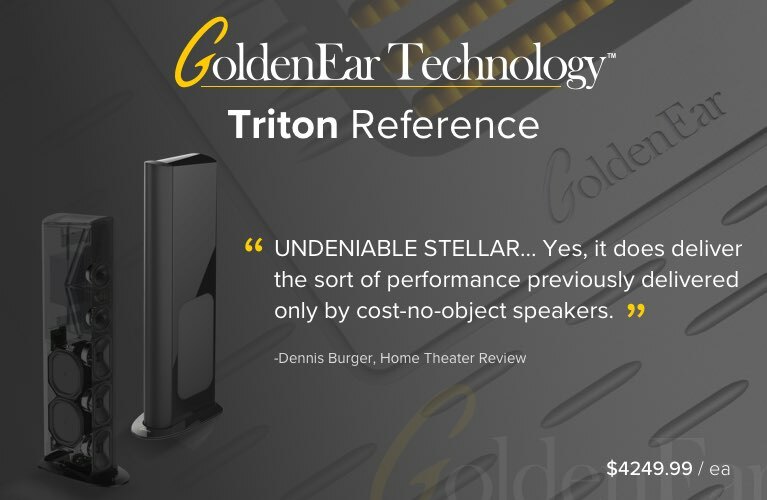 The Paradigms offered greater dynamic range, punchier impact in the midbass, and a greater level of detail in the highs, all for not much more than half the price of the Monitor system. What was lost, however, was the enveloping atmosphere the Monitors were able to create with the depth and realism of their soundstage. At this point, though, it’s about preference rather than better or worse; it’s like choosing between the warm wood or the sporty aluminum trim for your new sports sedan. One of the Paradigm SEs shone brighter than its Monitor counterpart, however, and that was the SE Center. The measures of ease, clarity, and naturalness it conveyed with any material I played through it were outstanding, especially at its price. The SE Center ($599) definitely bettered the RX Centre ($675) in those regards. Since being introduced to the Paradigm Monitor 7 speakers in 1999, I have been continually impressed by the levels of quality, performance, and innovation that Paradigm offers at commendably low prices. The new Special Edition models not only look and perform much like Paradigm Reference products, but do so at a much lower cost. If you’re looking for a home-theater package that punches way above its competition while offering genuine tastes of high-end sound and looks, then Paradigm’s new SE range deserves a serious look. Warranty: Five years on drivers, three years on subwoofer amplifier.